Looking for last minute accommodations for the annual meeting in Nome? There are still a few rooms available at Dredge No. 7 Inn (907-304-1270), Aurora Inn (907-443-3838) and Nugget Inn (907-443-2323). See you there! 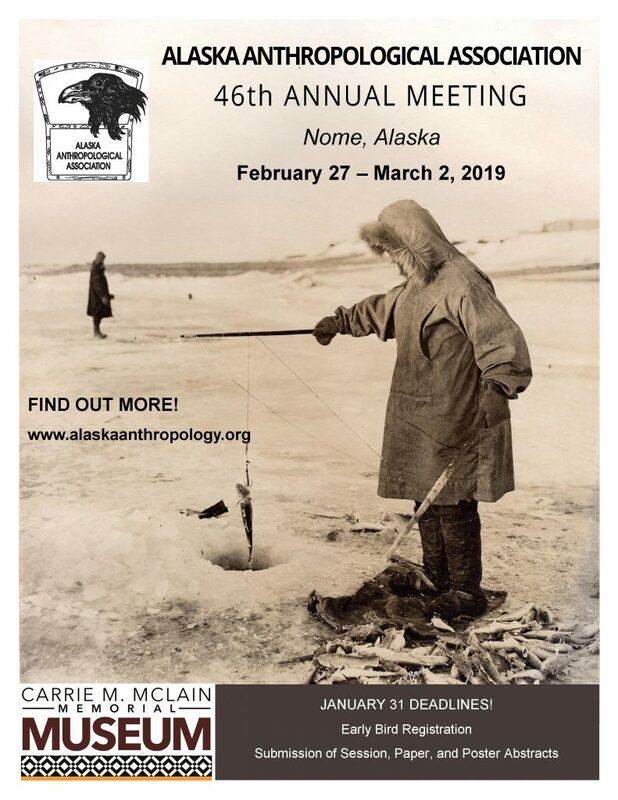 The 2019 conference program for the 46th Annual Meeting of the Alaska Anthropological Association is now online. Look forward to seeing you in Nome! 2019 will mark the 150th anniversary of the drawing of the Kohklux Map. Chilkat leader Kohklux and his wives drew the map in 1869 for American scientist George Davidson, who was in the north to view a solar eclipse. Depicting the details and landscape of an Indigenous trade route between southeast Alaska and southwest Yukon, to date it is not only the oldest surviving map of southern Yukon, but also the oldest preserved map of this region drawn on paper by Indigenous people. In honour of this anniversary and in acknowledgement of the immeasurable cultural and historical value of this map, this multi-disciplinary conference will explore the Kohklux Map, its legacy, and related topics. It will offer a forum for the exchange of new research, stories, and memories, and in doing so will attract and connect community knowledge-keepers, academics, historians, and others with an interest in the map. Approximately 100 speakers and participants from the north, Canada, the United States, and beyond are expected to attend.